Recall last week I ran 6 x 800 on the Robin Hill loop and hit a few under 2:50. I followed that workout up a few days later with 10 x 400 on a flat straight trail and hit some under 80. Today I upped the number of 800s to 10, with no intention of running them as fast as last week. Not a bad workout, but not great. When I am having a good day, the times usually continue to drop progressively. Today I was steady but would have been pressed to run much faster. The cool-down was a struggle, and I always see that as a sign that I wasn't quite rested or not just not fit enough for this workout. The good news is that I didn't go the other way and run the last 5 progressively slower. other runners would be beating the hell out of themselves, and Bill would be at the back of the pack. Bill did his homework. He had the capability to run over 175 miles a week if he needed to, but wouldn't completely thrash himself in track workouts like some people. Shorter ran his intervals hard from the first repeat; there was no easing into a hard session, or saving himself for the last 400. His recovery between each repeat was short and quick. Shorter would finish his interval sessions exhausted, feeling like he could not do another repeat. MY COMMENT: Very interesting contrast between 2 great marathoners in this insightful book. Apparently Rodgers did more longer repeats, while Shorter focused more on 400s. Shorter also appeared to carry on a hard easy schedule to a greater extreme than Rodgers. I always found it very tough to include intervals on top of very high weekly milege, but that might be one difference between mere mortals and special athletes such as these 2. Why Do So Many USA Track and Field Officials Look Like This? Have you ever been to a USA track and field meet? My theory is that these are guys are former athletes that quit training but kept on eating! You can also get Quercetin in OverDrive, a Pharmanex supplement. Either way, it's not a cheap product. MY COMMENT: Salzar's athletes have become dominant in the U.S.- Kara Goucher, Amy Yoder-Begley, and Galen Rupp. I've read that Salazar was not open to taking on any additional runners (remember his health problems), so he (or Nike) must have changed his mind with Ritz. Frank Shorter won 2 Olympic medals "on his own." How far do you need to go? Yesterday I did 10 x 400 on the Olympic Discovery Trail with approx 1 min recovery. This was a good workout- my wind was never taxed 100%, so I take that as a sign that my legs are just not capable of going fast enough. The slowest was the first one- 82, the last 2 were 77 (unofficial but I believe this is very close to 400- a straight will be faster than a track). At least I have a measuring stick to evaluate my progress. Honey Extract Found to Improve Heat Tolerance! Looking back, I've run 8 marathons over the previous 14 months. I'd say I've run very well in 3 of them, mediocre in another 4, and not so hot in 1. Since Olympic Discovery Trail, I'm back running with a new approach. Rather than building back up to those 2 hour plus runs, at least for now I am satisfied with an hour workout with focus more on speed and different types of intervals. I've been back in the park doing 800s on trail and loving it. Last night I ran a 5K in 19:48 in training flats for tempo. Another workout last week was 5 x 1 min uphill. Eventually I want to start weekly 400 meter repeats on a track. I am also hosting a 5K Fun Run on the 4th of July, and depending on the turnout would like to continue that. While I might get into some longer trail runs, at least for now I am not missing those 17-18 mile days. At my age, I feel they've been more like work than a workout, and I want to keep my running fun. 30 minutes easy running, followed by something requiring some effort. OK-One big question- Does this supplement really boost EPO (supported by studies)? Check out the website here. "Active components of EPO-BOOST™ have been demonstrated in university athletes to increase blood EPO levels in excess of 90%. These studies have been peer-reviewed and published in medical journals. 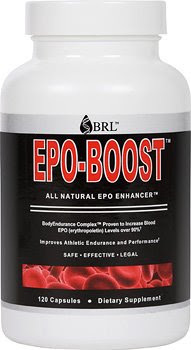 EPO-BOOST™ is guaranteed 100% to enhance performance in 30 days or less. " 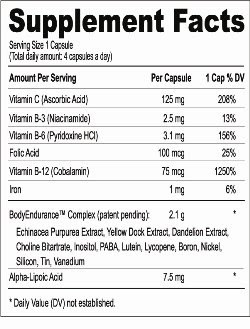 "EPO-BOOST™ is supported by clinical research, and active compounds specially prepared in the proprietary BodyEndurance™ complex have been cited in over 5,575 scientific studies"
I am very curious why the studies mentioned here are not referenced. EPO, short for erythropoietin, is a hormone involved in increased red blood cell production. Typically endurance athletes live and train at high altitude in order to boost EPO. Does this stuff really work? I guess it will cost you $60 or so to find out. Watch the video- I've never seen anybody look so slow that runs so fast. This kid is amazing for a freshman- American High School record for 5K indoors- 14:18. Eventually he will have to decide- triathlon or distance running. For now, he seems to be fine doing both. I enjoyed reading Lynda Drews (author of Run at Destruction) account of the Bellin 10K. Sounds like the book is doing very well and Bellin is more popular than ever. Congratulations Lynda and also to Bellin Health for continuing to sponsor one of the best running events in the U.S! High School Frosh Runs 8:53 for 2 Miles! Sidenote- In 2nd place was Footlocker XC champ Halie Solomone who finished up in 8:56. On any given day, Hoffman will do some distance running and/or sprints, do some core exercises and take part in hydrotherapy to flush waste from his body tissues. He doesn't do a lot of throwing during workouts, preferring to save his "bullets" for games. article in the Milwaukee Journal on closer Trevor Hoffman's legendary workouts. MY COMMENT: Big deal- the guy stays in shape. 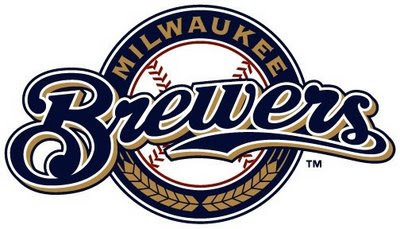 I would hope the rest of the Brewers workout as hard as I do for what they get paid. Galen Rupp Runs 4 Minutes- The Last 1,600 Meters! Remember back in 1972 when Steve Prefontaine boasted that if he had to he could run the last mile of the Olympic 5,000 in under 4 minutes? Flash forward to 2009 and watch Oregon's Galen Rupp's finish at the NCAA 5,000 meter race,. Ok so they only ran 14:00 vs 13:20s, but remember he won the 10,000 the day before! So I ran the N. Olympic Discovery Trail Marathon on Sunday. Thinking I had an outside chance to break 3 hours for the 3rd consecutive time, I cruised through the first 5 miles feeling very, very comfortable. Other than the first mile at something just over 7 minutes on a slight uphill, the mile splits were quick (32:40 at 5 miles vs 33:00 at Napa Valley). I began getting suspicious that something was wrong when I hit 9 miles in 58 minutes and 10 in 67. The mile splits were clearly wrong, but I was really thrown off since I had no clue if it was the 9 or the 10 mile (10 miles at Napa was 65:22, which is a little slower than I should have been if the split at 9 was correct). It just so happens that the mile between 11 and 12 was right on the trail portion where I do my 800s, so I checked my split there and clocked something under 3:20, so I was still running on pace. Turns out it didn't matter, because just after 12 miles I recall thinking that I might be in for a long day. My half split was 1 hr 28, but my 5 miles between 10 and 15 was 34 min (1:41:07 at 15). By comparison, my splits at Napa were 1:05:52 at 10 miles and 1:38:28 at 15 (32:46). Based on personal experience, I believe that for me to run a good marathon, my fastest 5 miles should be those between 10 and 15. I was trying, but just couldn't go. What happened? Looking back, I ran a very strong 10K a month ago, and a half way decent 12K 2 weeks ago, so know I was in good shape. Maybe just not marathon shape. Did I go out too fast? I don't think so, because I don't believe those early mile splits were accurate. The good news is I've experienced minimal leg soreness since the race. I could have jogged today, but still not in the mood. I also placed 11th overall and kept my string of age group victories intact. You have to love these small races! "Runners have a lower percentage of jerks than the rest of the population." -Larry Macon, attorney, who ran 105 races of 26.2 miles or longer in 2008 (source: July 2009 Runners World). The winner of this race (Washington state girls 1,600 meter 2A)has a nice kick. North Olympic Discovery Marathon- Ouch! The trial product, which was developed by Scottsdale, AZ-based ESoles Inc., a company defined by their custom insoles for athletic shoes, consists of pressure sensors that transmit information wirelessly to a cell phone in close proximity. At that point, an application on the phone can inform the wearer how much pressure is being applied in 11 different areas of each sole. This is the extent of "research" I have found related to Enlyten. Gee I wonder if they controlled for fluid intake while making this observation. Good article here on Enlyten as a potential threat to Gatorade. 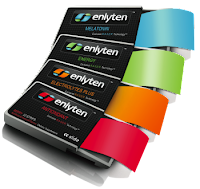 Enlyten Strips are in the news! If you haven't heard, Enlyten now offer electrolytes, appetite suppressant, calorie burners, antioxidants, energy, and melatonin. Just stick one of the strips on the inside of your mouth and the product absorbs directly into the blood stream. The Bellin Run, according to Lynda Drews, is the 5th largest 10K in the U.S. Held in Green Bay Wisconsin, this race attracts a stong international field along with former champions such as legends Bill Rodgers, Uta Pippig, and Joan Benoit-Samuelson. Hard to believe this is the 33rd annual. I got 5th in the first annual! The course has been marked- weather has been very warm the last few days. A late 9 am start has me worried, but the long range forecast for Sunday calls for cooler temps. moving in and 49% cloud cover. weather forecast for Sunday . My other concern, since the course runs point to point east to west, is wind. As of now the 11 am forecast calls for NNE winds at 6 mph. I am in the middle of taper week, but I prefer to call in "peaking week". This is the week I try to do something nearly every day at a pace that is equal to or quicker than marathon pace. Yesterday I did a 5K in 20:30, while today I hit 6 x 800 back on the Discovery Trail in 3:05 down to 2:54. 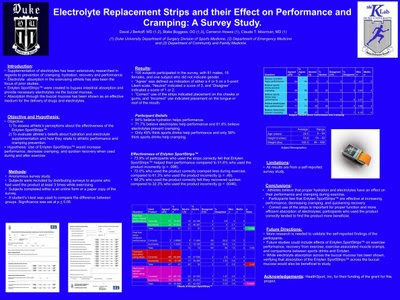 MY COMMENT: No idea what the connection might be- this was presented at the ACSM conference in May. The Prefontaine Classic offers USA track athletes a final tune-up opportunity prior to our USA National Championships later this month. You can watch all of the action on NBC from 2-4 pm EST on Sunday, June 7. Order books or DVDs about Pre here. Mon, Jun 1: : 8 miles in 60 min. Tues- 17 mile loop - finally back under 2 hours! Low on run miles, but not a bad week! 22 miles on the bike- it was fun!